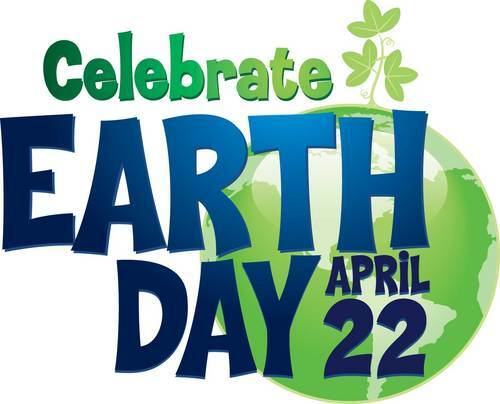 A Few Simple Tips for Earth Day…And Everyday! Indoor air is two to five times as polluted as the outdoors (per the EPA). Chemicals in household cleaners contribute to this and have been linked to asthma, allergies, cancer, and other health problems. Non-toxic alternatives are found at natural food stores and, increasingly, at regular supermarkets. Read the labels and be sure you understand the ingredients. Prices are now about the same or a little higher than conventional brands. Use the air conditioner in your car as little as possible, because it uses a lot of gas. Roll down the windows and get some fresh air! Using cruise control can save gas. If you drive on the open road often, staying at a constant speed will save fuel. Try to drive while traffic is light. Plan to stop for meals at times when traffic is heavy. Donate rather than throw away a working computer and upgrade when possible rather than buying a new computer. Buy from companies that take life-cycle and environmental impacts into account when designing. Discard old, non-working electronic goods responsibly–take them back to the store or to a collective waste collection point like the Household Hazardous Waste and Electronics Recycling event of the Department of Public Works, Office of Recycling (dpw.dc.gov). Use your consumer buying power: Choose eco-designed products that consume less energy and support companies with acceptable environmental policies. Choose sturdy, quality products that can be repaired rather than replaced. Choose materials and products that are made locally or regionally. Always ask yourself if you need to purchase the item, bearing in mind that the urge to spend encourages companies to develop increasingly competitive means of production that take more out of the Earth’s natural resources. Use your consumer purchasing power to support small/local farmers that has traveled short distances and consider the environmental (and human health) impacts of meat consumption: 55-77 pounds of cereals and 26,400 gallons of water are needed to produce 1 kg of red meat. Buy produce in season, and when possible, buy organic products devoid of chemicals harmful to the environment and to you. When making purchases, choose products with minimal packaging. Talking with our neighbors, friends or coworkers can have a tremendous impact on our desire and ability to take action. Support, accountability and enhanced community are all benefits of being in a discussion circle. Discussion guides on global warming, sustainability, raising healthy children, simple living and more are available. Borrowing copies of these publications make the discussion group low- or no-cost. Children and youth have special opportunities to learn about their planet, and be the makers of tomorrow’s future. Refer them to UNEP’s online “Tunza” magazine, where ideas, initiatives and campaigns are shared with friends, teachers and family across the globe Sponsor youth activities with an environmental theme in your community and in schools.